Clothing sales at Marks & Spencer fell for a ninth straight quarter. There are some encouraging signs for the UK retailer: the decline in non-food sales is slowing, and a hyped new range has only just launched. Now CEO Marc Bolland has to show the improvement is sustainable. 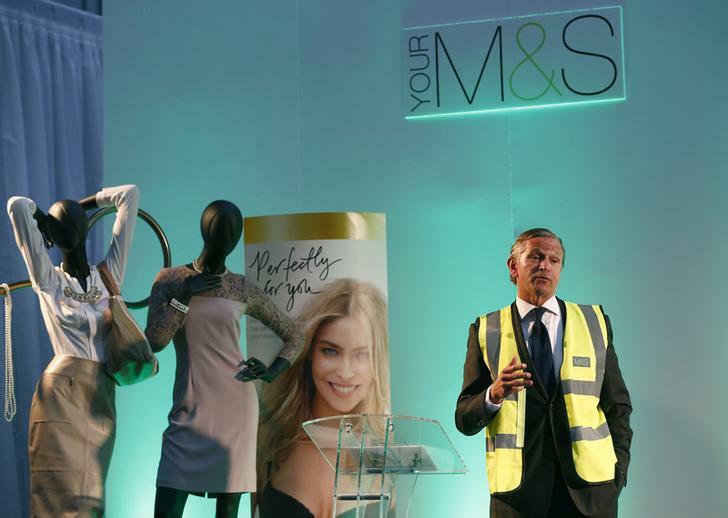 Marks & Spencer Chief Executive Marc Bolland speaks at the company's new e-commerce distribution centre in Castle Donington, central England May 8, 2013. The company was updating on its supply chain and IT investment programme, on Wednesday, to the media and to investors. Non-food sales at Marks & Spencer, Britain’s biggest clothing retailer, have fallen for a ninth straight quarter. In a statement on Nov. 5, the British retailer said underlying sales of “general merchandise” dropped 1.3 percent in the 13 weeks to Sept. 28, the second quarter of the group’s financial year. The decline was 1.6 percent in the previous quarter. Both are like-for-like figures that strip out new space added, and both are relative to the same period a year earlier. M&S’s important autumn/winter clothing range hit some stores in July but only fully launched in September, meaning it contributed just three weeks to the quarter. The company’s food business continued to perform well, with like-for-like sales up 3.2 percent, against a 1.8 percent rise three months earlier. First-half pretax profit was 261.6 million pounds. That was in line with analysts’ average forecast of 262 million pounds but down from 287.3 million pounds last year. Group revenue rose 3.9 percent to 4.9 billion pounds. M&S said overall expectations for 2013-14 were unchanged: it still expects gross margins to expand by 30 to 50 basis points, although discounting in the second quarter weighed on the general merchandise margin. By 0930 GMT, M&S shares rose 2.6 percent to 500 pence.